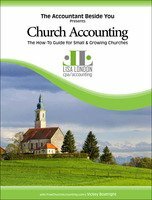 Church Accounting: "The How-To Guide for Finances in Small & Growing Churches"
Do you ever feel overwhelmed, stressed and maybe at a lost over your church finances and/or church accounting? If so, you're not alone and don't worry I have the solution right here in "The How-To Guide for Small & Growing Churches" Paperback Book! 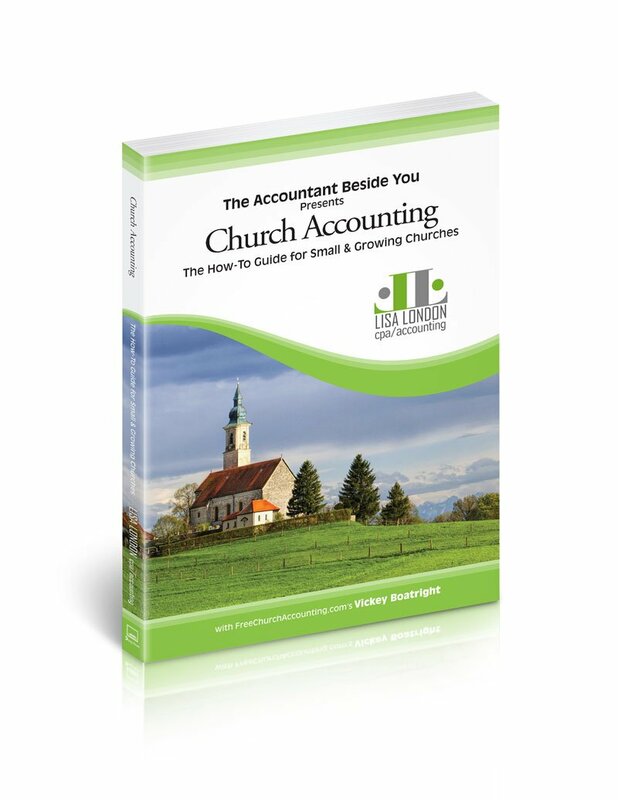 As you probably know, church accounting is not the same as business accounting. For instance, if you are a church bookkeeper you must be aware of special tax codes that govern the church's unique tax standing. Way to often particularly in smaller churches with volunteer administrators or overworked employees they do not know every aspect of the tax codes that affects their church's ability to accept donations, oversee a benevolence fund, and also offer a compensation package for their minister. Lisa London The Accountant Beside You who brought you QuickBooks for Churches & QuickBooks for Nonprofits (as noted on my Home page), explains the specialized needs of church accounting in an easy-to-understand manner for church administrators and volunteers. A CPA with decades of experience working with businesses as well as churches and other nonprofits, Lisa explains complex concepts in a reader-friendly, engaging manner. Vickey Boatright, an accountant who runs the online website for all things church accounting, www.freechurchaccounting.com. Vickey has worked as a fund accountant for a nonprofit for over 12 years and is a staff accountant for Wisdom Over Wealth. Her website is a treasure trove of valuable information on all things churches! She is the treasurer for her church of 37 years. Together, Lisa and Vickey guide you through every essential aspect of church accounting. Click Here for more information or to purchase "The How-To Guide for Finances in Small & Growing Churches" book. Plus Many More Money Saving Packages! Return to Home Page from Church Accounting Book.